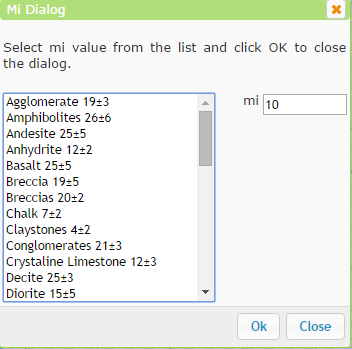 Select mi value from the list and click OK to close the dialog. 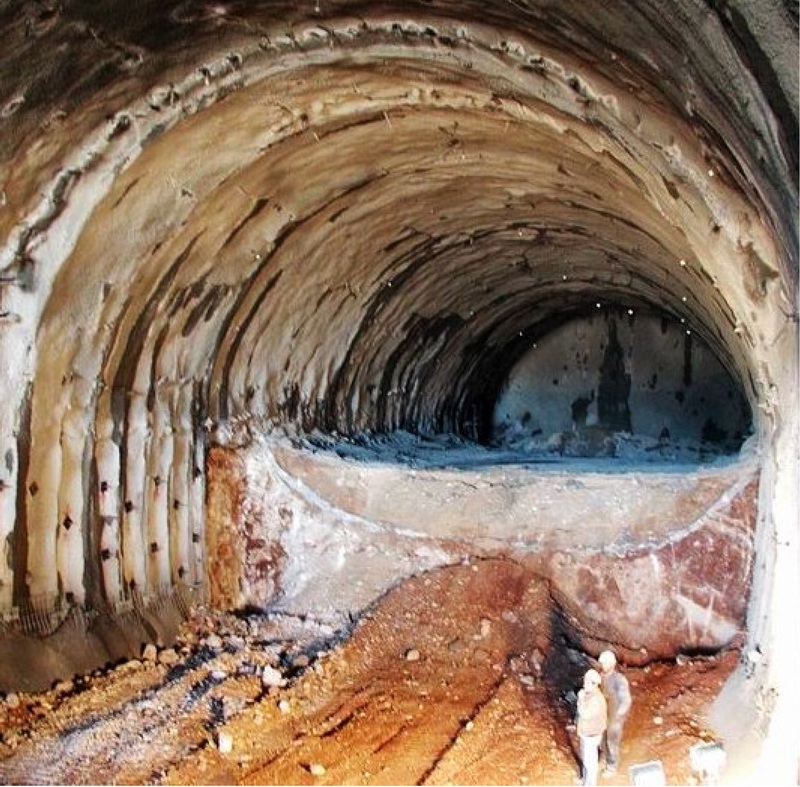 Excellent quality controlled blasting or excavation by Tunnel Boring Machine results in minimal disturbance to the confined rock mass surrounding a tunnel. 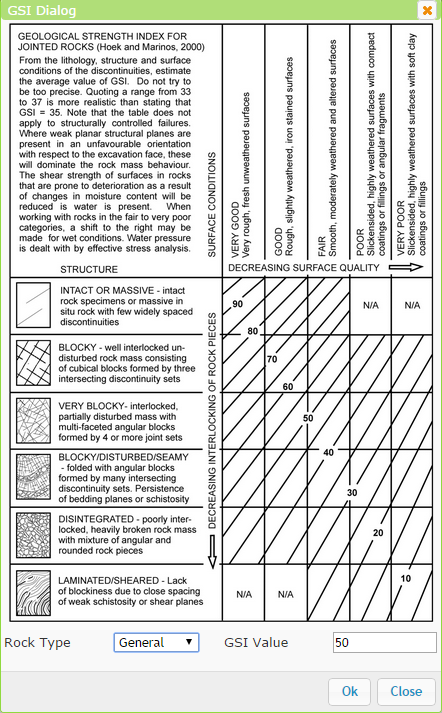 Mechanical or hand excavation in poor quality rock masses (no blasting) results in minimal disturbance to the surrounding rock mass. Where squeezing problems result in significant floor heave, disturbance can be severe unless a temporary invert, as shown in the photograph, is placed. 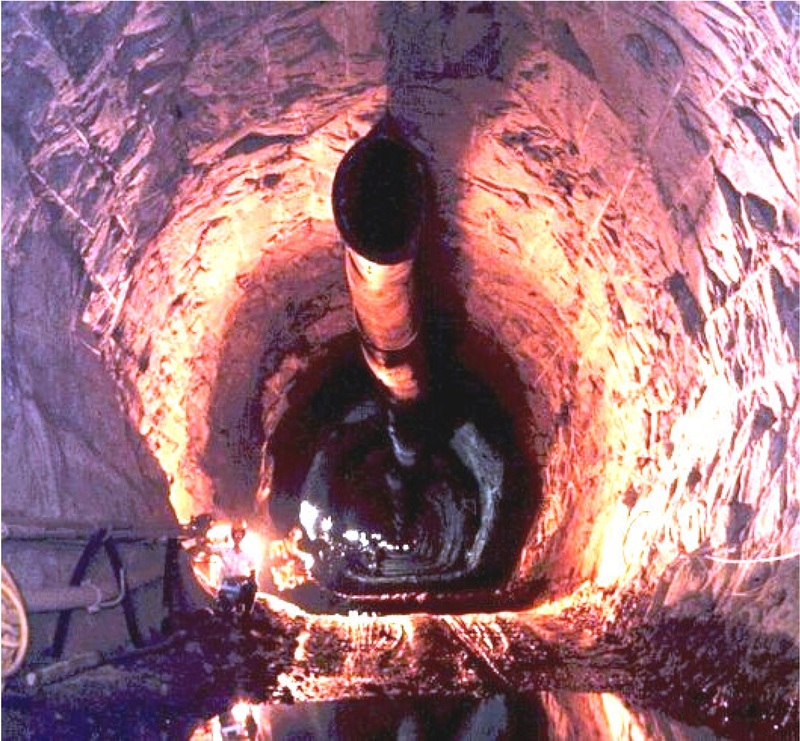 Very poor quality blasting in a hard rock tunnel results in severe local damage, extending 2 or 3 m, in the surrounding rock mass. 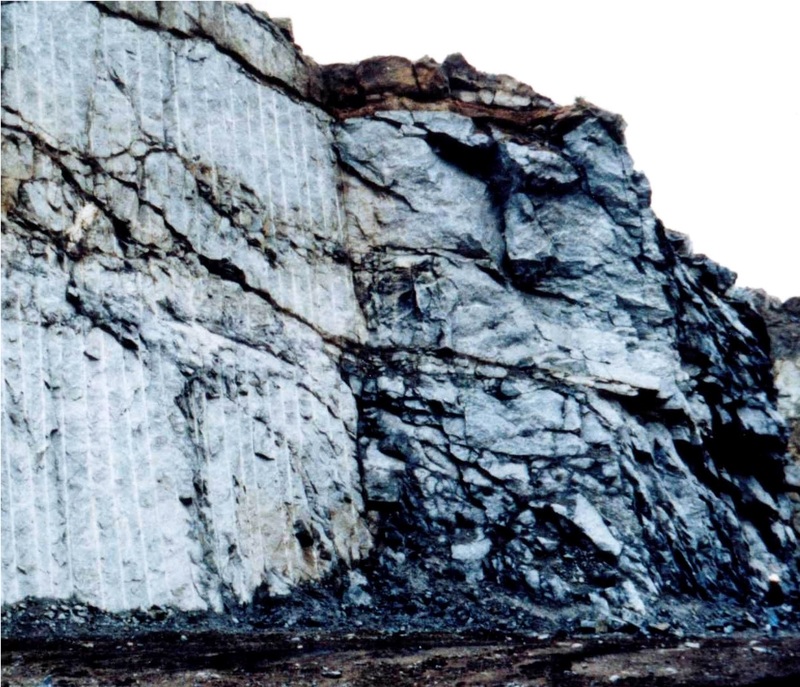 Small scale blasting in civil engineering slopes results in modest rock mass damage, particularly if controlled blasting is used as shown on the left hand side of the photograph. However, stress relief results in some disturbance. 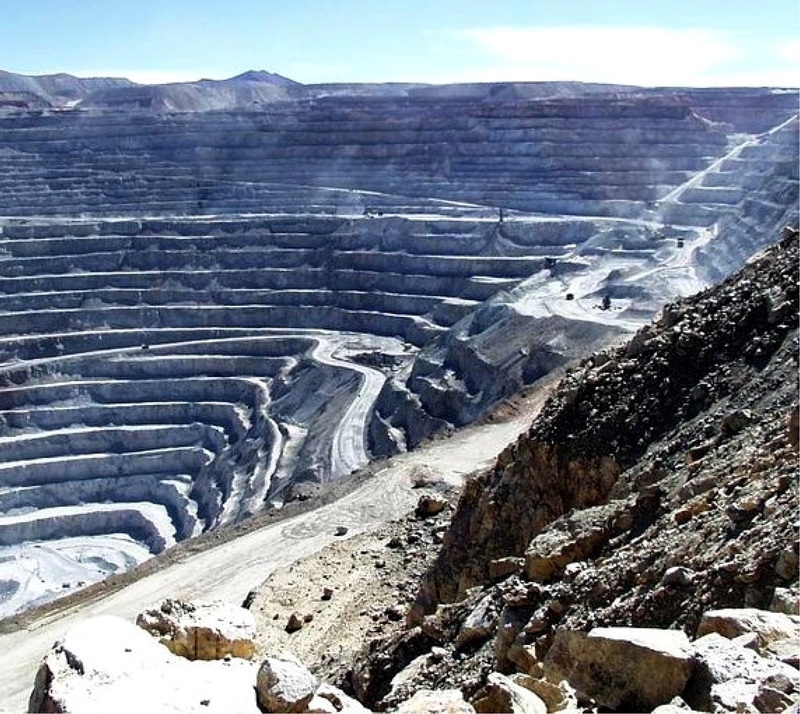 Very large open pit mine slopes suffer significant disturbance due to heavy production blasting and also due to stress relief from overburden removal. In some softer rocks excavation can be carried out by ripping and dozing and the degree of damage to the slopes is less. 1-Select the unit system. Either Metric or Imperial units can be selected in ORMAS. In Metric, the stress units are Megapascals (MPa) or Kilopascal (kPa). In Imperial, the stress units may be either pound per square foot (psf) or pound per square inch (psi). 4-Enter the mi value or click on the list button beside the mi input, and select the mi value from the list. Click OK to close the dialog. 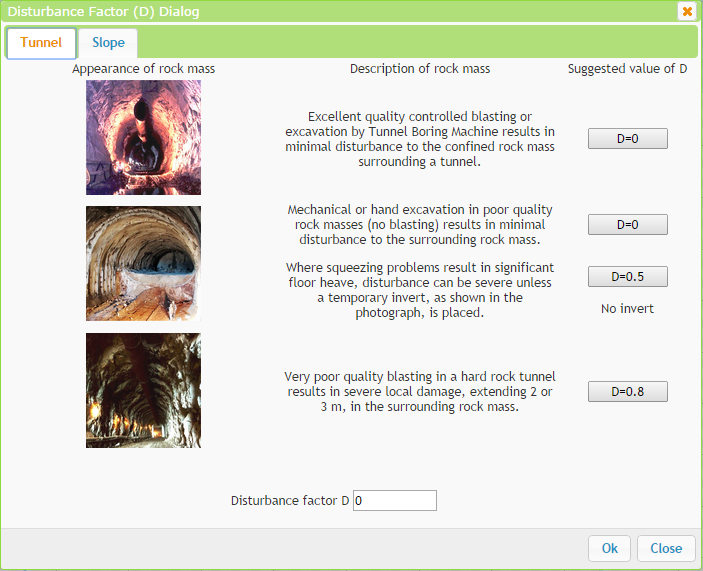 5-Enter the disturbance factor (D) or click of the disturbance factor dialog to select the D value. D is a factor depends on the degree of disturbance due to blast damage andstress relaxation. Click OK to close the dialog. See Ref. 1 and 2 for more information. 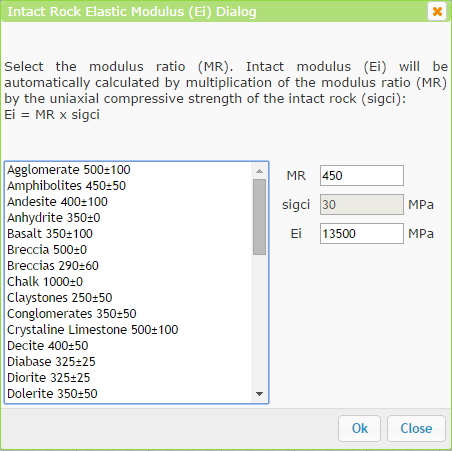 6-Enter the Ei value or click of the modulus ratio (mr) dialog to estimate the intact rock modulus. The Mr value can be estimated by selecting the list button beside the Mr edit box. The intact modulus (Ei) is automatically calculated. Click OK to close the dialog. See Ref. 1 and 2 the Rock Mass Modulus topic for more information. 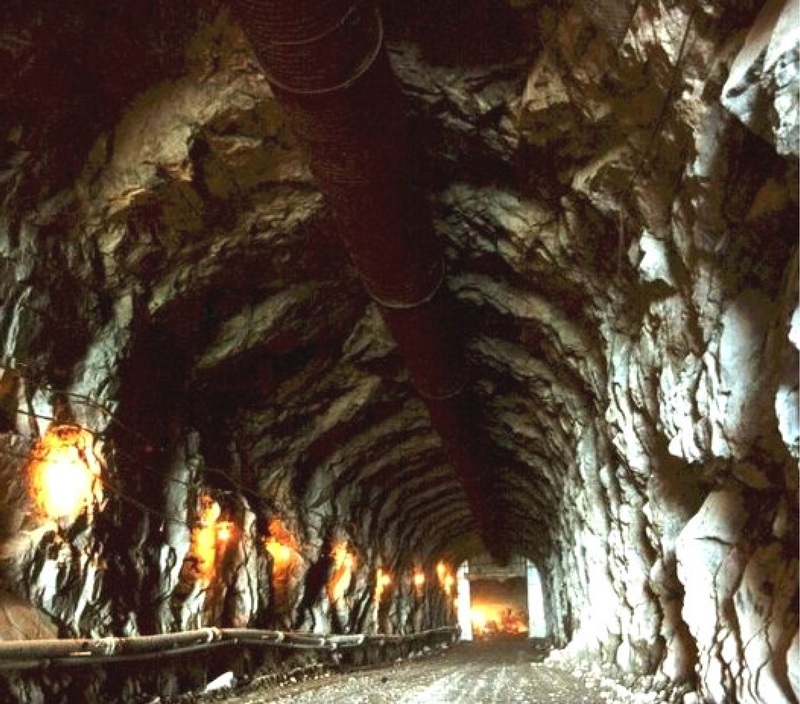 7-There are three possible selections for failure envelope range such as custom, tunnels, slopes. When the failure envelope range option = Custom, you may enter any value of sigma3max. Based on the principles outlined in this paper, ORMAS estimates maximum sigma3 values for Tunnel or Slope design applications. Note:Whenever input data is entered or changed in ORMAS, failure envelopes are automatically updated to reflect the current input data. In addition to the basic strength criterion parameters, various other parameters are computed (e.g. 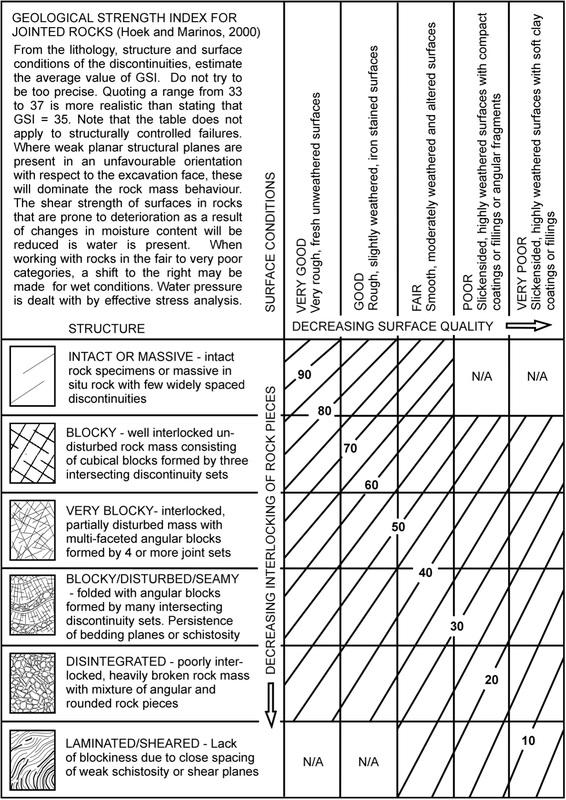 tensile strength, uniaxial compressive strength, rock mass deformation modulus), according to the current strength criterion. 1-The Hoek-Brown parameters are calculated using the Generalized Hoek-Brown failure criterion. For a definition of these parameters, and the equations which define them, please see Ref. 1 and 2. 2-The calculation of equivalent Mohr-Coulomb parameters from the Hoek-Brown failure criterion, is provided by ORMAS program. 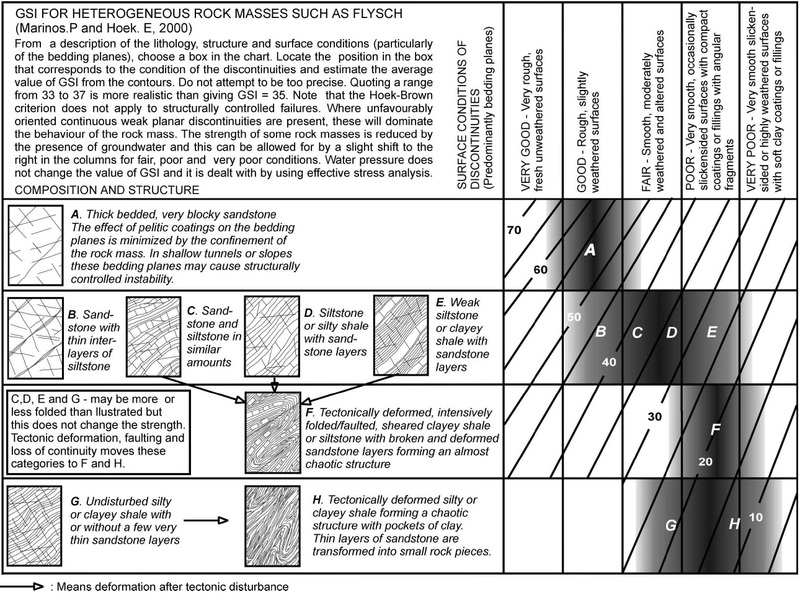 3-The rock mass parameters such as rock mass tensile strength (sigt), uniaxial rock mass compressive strength (sigc) andglobal rock mass compressive strength (sigcm) as well as rock mass modulus of deformation (Erm) are also calculated. For the definitions of these parameters, and the equations used to calculate them, please see Ref. 1 and 2. By default, ORMAS plots both the principal stress envelope (sigma1 versus sigma3) and the shear-normal strength envelope, for the current strength criterion and strength parameters which are in effect. ORMAS offers a summary of input and output parameters as well as both plots in pdf format. By clicking on "Report" button you will be able to save the report in your local machine. 1. Hoek, E., Carranza-Torres, C.T., and Corkum, B. (2002), Hoek-Brown failure criterion - 2002 edition. Proc. North American Rock Mechanics Society meeting in Toronto in July 2002. 2. Hoek, E., (2000). Practical Rock Engineering. YOU ACKNOWLEDGE AND AGREE THAT THE SOFTWARE IS PROVIDED "AS IS"AND WITHOUT WARRANTY OF ANY KIND. ALL WARRANTIES, CONDITIONSREPRESENTATIONS, INDEMNITIES AND GUARANTEES WITH RESPECT TO THESOFTWARE, WHETHER EXPRESS OR IMPLIED, ARISING BY LAW, CUSTOMPRIOR ORAL OR WRITTEN STATEMENTS BY ORMAS OROTHERWISE (INCLUDING, BUT NOT LIMITED TO WARRANTIES THAT THE CODE ISFREE OF DEFECTS, DAMAGES FOR LOSS OF GOODWILL, WORK STOPPAGE,COMPUTER FAILURE OR MALFUNCTION, OR ANY AND ALL OTHER COMMERCIALDAMAGES OR LOSSES, MERCHANTABILITY, SATISFACTORY QUALITY, FITNESSFOR PARTICULAR PURPOSE, TITLE AND NON-INFRINGEMENT) ARE HEREBYOVERRIDDEN, EXCLUDED AND DISCLAIMED. UNDER NO CIRCUMSTANCES WILL ORMAS BE LIABLE TO YOU FOR ANYDIRECT, CONSEQUENTIAL, INDIRECT OR SPECIAL, PUNITIVE OR INCIDENTALDAMAGES, WHETHER FORESEEABLE OR UNFORESEEABLE, BASED ON YOURCLAIMS OR THE CLAIMS OF ANY THIRD PARTY, WHETHER BASED ON THIS AGREEMENT, ANY COMMITMENT PERFORMED OR UNDERTAKEN UNDER ON ORIN CONNECTION WITH THIS AGREEMENT OR OTHERWISE. ANY PERSON WHO USES THIS PRODUCT DOES SO AT HIS/HERS SOLE RISK ANDWITHOUT LIABILITY TO ORMAS. 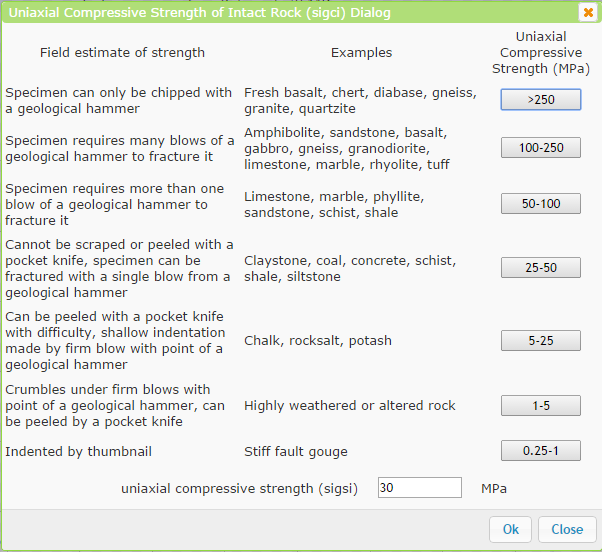 ORMAS is a free software for determining rock mass strength parameters, based on the Generalized Hoek-Brown failure criterion. The first version of this program was written in matlab as part of a college project in my previous life and recently I decided to rewrite it by java, html as well as php to make it available directly from the internet. ORMAS is non-commercial and free to use. If you have questions or comments, please contact me at roozbehg@live.com. Visit my personal web page to find out about the other free software or my experiences and research interests.